Ben Augustus Vereen, actor, singer, and dancer, was born on October 10, 1946 in Miami, Florida, but while still an infant his family moved north to Brooklyn, New York. From a young age Vereen showed a talent in dancing and drama, often performing in local variety shows. With his mother realizing his talent and potential, Vereen was enrolled at the New York High School of Performing Arts at the age of fourteen to pursue these skills. After high school Vereen struggled to find work, often taking odd jobs to get by. Vereen’s stage debut came in 1965 in the play The Prodigal Son. In 1967 he received a part in the Broadway play, Sweet Charity, and starred with Sammy Davis Jr. in the film adaptation the next year. Vereen continued to receive regular work on Broadway but his recognition by critics as a major performer came with his role as Judas in the 1971 play Jesus Christ Superstar. In 1972 Vereen received a Tony Award for Best Actor in a musical for his leading role in Pippin. In 1975 he performed with Barbra Streisand and hosted a short-lived variety show called Comin at Ya! 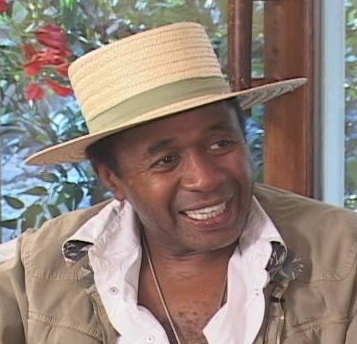 In 1977 Vereen achieved his greatest success in his portrayal of the character Chicken George in the TV mini series Roots which earned him an Emmy nomination. Vereen continued to work as a guest star on numerous TV variety shows, sitcoms, and specials into the first decade of the 21st Century including the Muppet Show (1976), The Jesse Owens Story (1984), Intruders (1992), Grey’s Anatomy (2007), and Law and Order (2008). Vereen’s stage credits also include Hair (1969), I’m Not Rappaport (1989), Jelly’s Last Jam (1992), Chicago (1999), and Wicked (2005). After the death of his daughter in 1987 due to a car accident, Vereen developed an addiction to cocaine which led him to enter a drug rehabilitation facility in Southern California. In 1992 Vereen was accidentally struck while walking on Pacific Coast Highway in Malibu, California. That accident required him to have physical rehabilitation for months. Vereen continues to act in movies and television.